When Andrew Maynard of Austin Maynard Architects was designing his own home in Melbourne, Australia, he decided to create a staircase that would provide additional storage, as well as be bright and colorful. 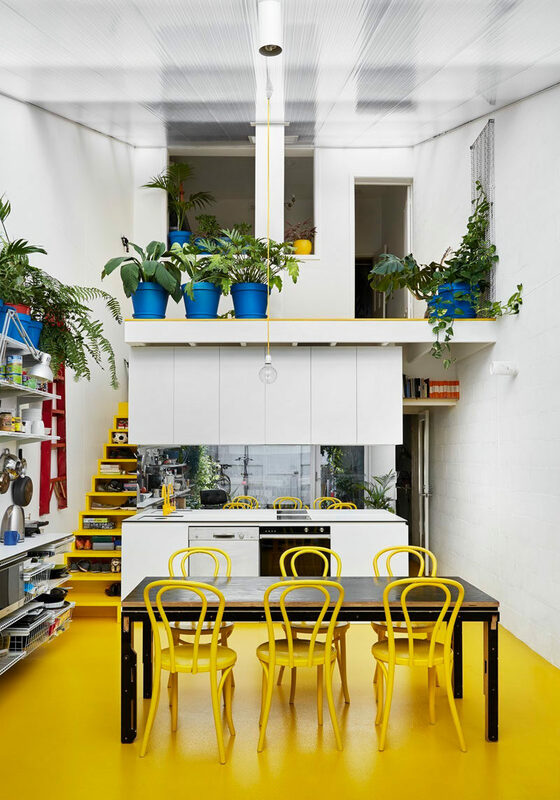 After finding some brightly colored taps and asking his Instagram followers which color to go with, yellow was the chosen color, and was used throughout the space, with the floor, kitchen faucet, dining chairs, lighting and the stairs all being the same color. 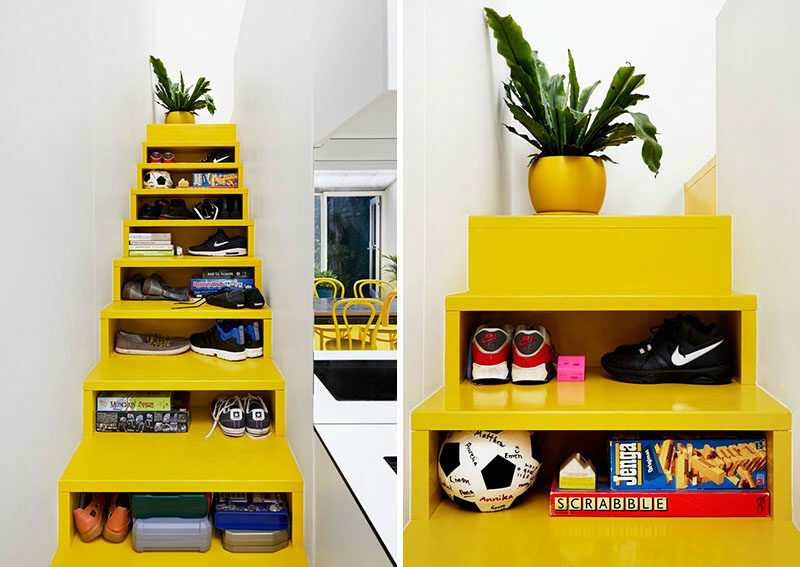 The stairs, not only are they bright yellow, but the front of the stairs are open, providing additional storage space for the home, and by designing open fronts instead of drawers, the home owners are easily able to see what is stored away.